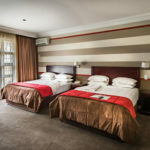 Just north of the fast paced business world of Sandton, lies the 258-bedroom Indaba Hotel, Spa & Conference Centre. 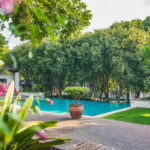 It’s a compelling blend of business-like efficiency and relaxed country atmosphere within close proximity of the International Airport making the Indaba perfect for groups and leisure travellers. 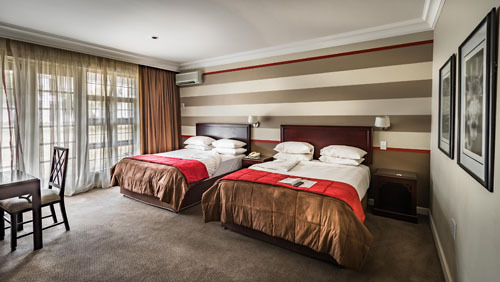 The hotel features 24 multi-purpose conference venues ranging from Executive Boardrooms to large Banquet Venues seating up to 500 people. Indaba boasts 2 world class restaurants; the 300-seater Chief’s Boma Restaurant caters for all tastes with over 120 African-inspired dishes. Well-known for their lavish Breakfast Buffet, the Epsom Terrace Restaurant also boasts an evening Bistro Menu. 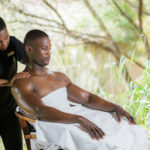 Take a wander through the 17 hectares of lush bushveld gardens and you’ll find the Mowana Spa – a wellness sanctuary which will revive your senses, rejuvenate your body and soothe your soul.